I often keep a box of Dosa mix at home, as it is easy to make some quick snacks for guest or my husband. 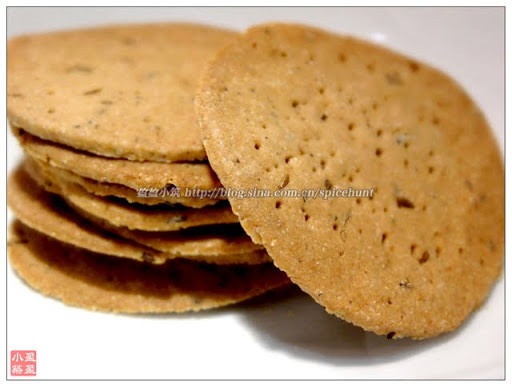 I could use it for idly, dosa, set dosa and this, the simple Besan Uttapam. I made Vietnamese Lemongrass Chicken not long ago, and many of my net friends tried making it too and liking it. 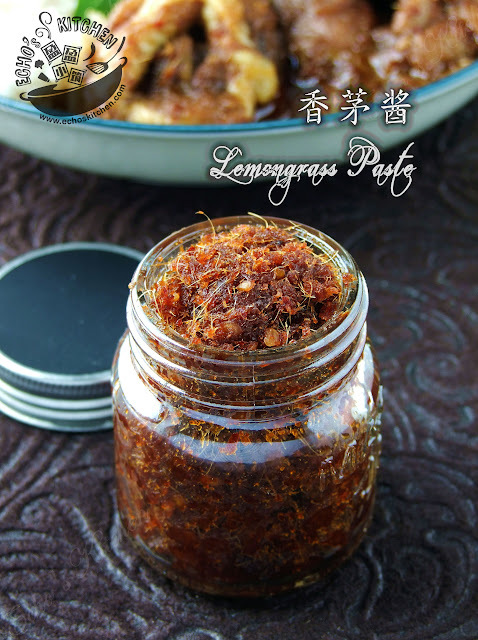 The Vietnamese Lemongrass Paste can be use to make other dishes too. 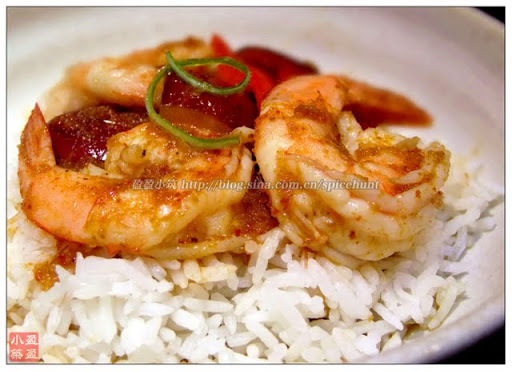 Today, I made shrimp using the same paste, and its tasting great! I made Mathri couple of weeks ago and have been toying the idea of making a healthier oven baked version for days. I was on the phone with my best friend Surbhi and she was like "when are you going to make an oven baked version of Mathri?" That's it... One gotta do this for ya best of friend... yeah? Sur? Cabbage was one of the cheapest vegetables in England, I used to eat plenty of it for it is good for storage, and good for my wallet! I guess its time for me to regain confidence in this beautiful nature's gift! I planted a few Sweet Basil last summer and have absolutely no idea how to use it, as I also have another few Thai basil that was growing fast and crazy...I sent some of my Sweet basil to my polish neighbour and she was thrilled and told me she made the best pesto ever! So in return... I got an idea to what to make out of my sweet little basil! So this version I made is the Malay Style. 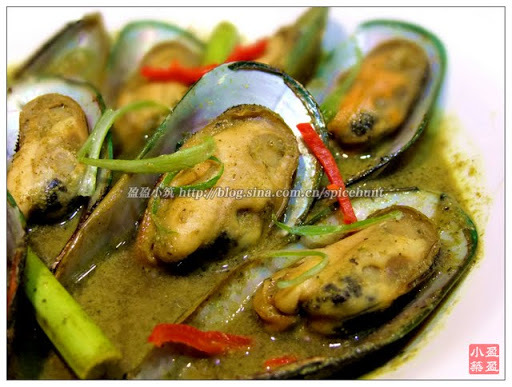 Mussel is a very common seafood in South East Asia, and making curry out of it is a way that I love! I have no idea about Mexican food before I came to US, my first real mexican food was in San Diego... and ever since... I am IN LOVE!! I now make this delicious dip very often, especially on our movie day. I made this batch using oven! Well sounded like it has all the challenges I am looking for! 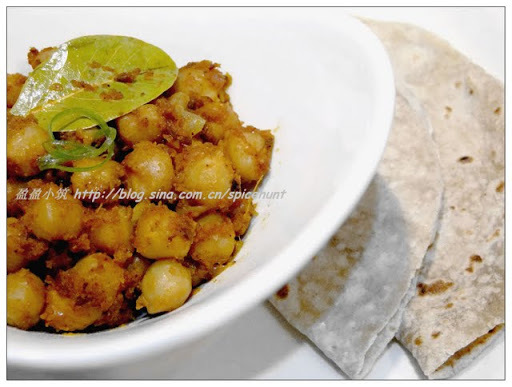 Channa （Chole）is one of our favorite legumes at home, I normally made this into curry to serve with Puri/poori. 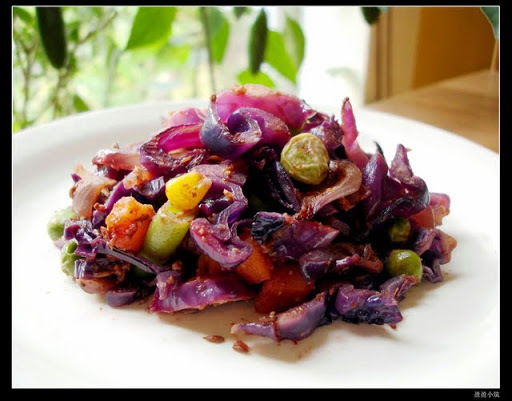 Once in a while, I like it as tasty spicy side dish, like this one. It could be use as a starter too! There is a very good Vietnamese restaurant near our house and their Lemongrass chicken is a must order every time we visited that place. 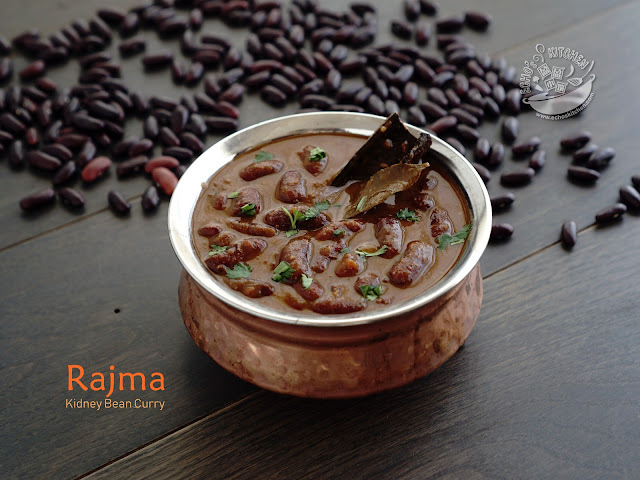 I have been wanting to make this same dish at home for a long time, and did not find a recipe to my liking, After reading like 2 dozens of recipes, I decided to come up with my own version! Note: The Original recipe was created on 2/14/2011，revisited on 3/6/2016. 1. 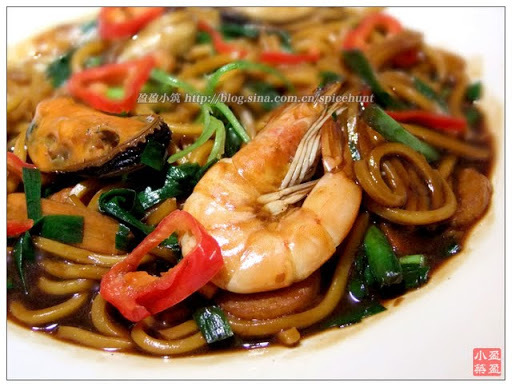 Remove the outer part of lemongrass if it is dried or dirty, clean and slice the lemongrass, ground it together with all other ingredients listed into a paste. It is OK if the paste is a little coarse. 2. In a small cooking pan, bring the paste to boil and cook until liquid evaporates as much as possible (as shown in the picture). 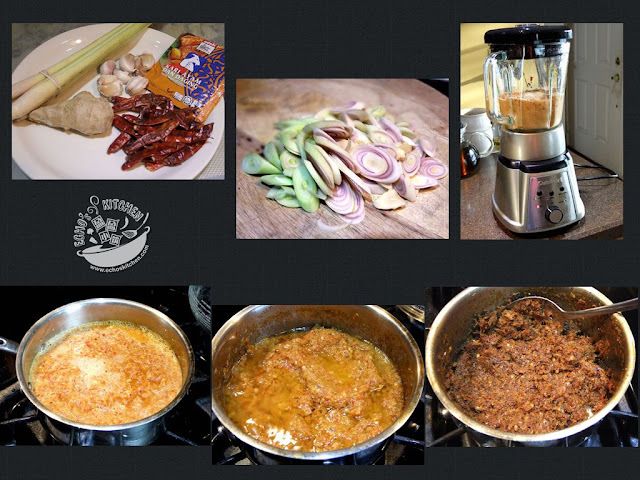 Note: This Paste could be stored in the fridge for about 1 month, and the same paste could be use to make Lemongrass chicken, Lemongrass Shrimp/beef. 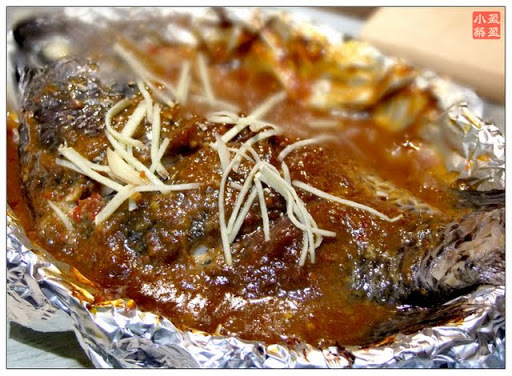 Tilapia fish has a slight muddy flavour, spices in this particular recipe could get the smell/flavour out, and make the fish super tasty! I stumbled upon this vegan recipe and could not stop thinking about how smart it is calling for Avocado as butter replacement. I just have to make this once. So I did. And manage to made it a diabetic friendly dessert! Mum used to make this black bean soup at home, and all of us love the pig tail in it.. as it was well cooked and very soft... According to Chinese herbs and medicines, this soup is particularly good for men, on what? If you ask.. The answer is, please use your imagination!